SEOUL, Feb. 15 (Yonhap) -- "Voice," a popular crime show on cable TV channel OCN, may water down its violence, its director said Wednesday, amid concerns that the show, even for the genre, was too intense and could prompt copy cat crimes. "With episodes based on real-life cases, there may have been some overly excessive scenes as we tried to make them similar to the situation victims may have had to endure as much as possible," Director Kim Hong-seon said at a media event held at a hotel in western Seoul. "We will try to come up with ways so viewers may be less disturbed while not affecting the flow of the show," Kim said. 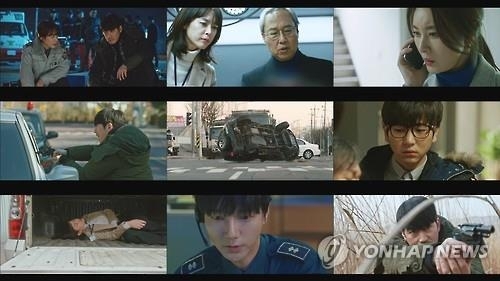 "Voice" is a neo-noir crime thriller drama featuring an ensemble cast, including Jang Hyuk, Lee Ha-na and Super Junior's Yesung. 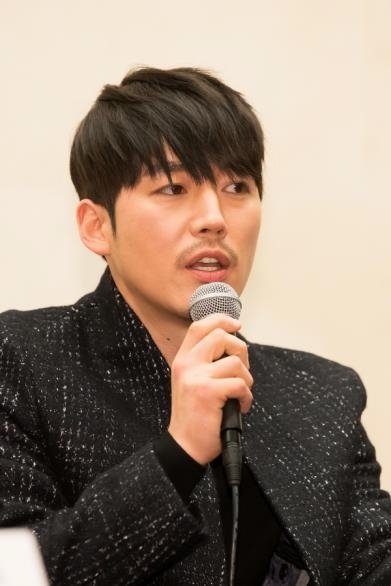 It revolves around a task force called "Golden Time Team," consisting of 1-1-2 operators (police call center) and crime specialists in numerous fields, led by leader Kang Gwon-joo, played by actress Lee Ha-na, and a grief-stricken detective named Moo Jin-hyuck, portrayed by actor Jang Hyuk. The term "golden time" refers to the period during a traumatic event when swift, decisive action can make the difference between life and death. It became a commonly used expression in South Korea during and after the Sewol ferry disaster in 2014. Aside from the show's often macabre visuals though, hardly no one is disputing its high caliber production and performance. The two leads -- Jang and Lee -- carry the show through their seemingly conflicting yet ultimately complementary work relation. The series' rating has topped 5 percent in just two weeks and is nearing the channel's previous record high of 5.9 percent from "Squad 38," another OCN original series aired last year. In "Voice," Jang once again exerts his physicality through tough action scenes. But the action this time is a bit different, according to the actor. "The action is different in that we have to save a victim in a limited time, so the action has to be a bit rough and have a sense of urgency," Jang said. Lee's Kang is a "voice profiler" and leads the team through her exceptional skill at deciphering clues from even the smallest of crackle across the phone. Lee says performing a character whose main job is listening and talking on the phone is quite grueling. "I didn't know that speaking this much dialogue this fast was this hard. Trying to remember the lines is hard since I even mess up the lines when reading from the script," Lee chuckled. But according to Lee, playing the voice profiler has benefits, too. "Through playing Kang Gwon-joo, I have learned to be calm personally and also control myself from tension," said Lee. "Voice" airs on cable TV channel OCN every Saturday evenings.